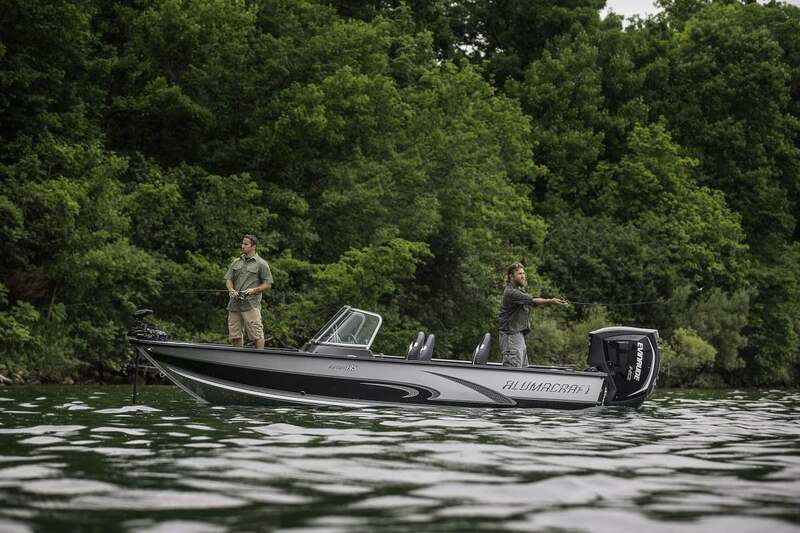 Brunswick Corp.-owned Mercury Marine has joined Yamaha in terminating engine supply agreements with Alumacraft, a fishing boat manufacturer that was acquired by Evinrude maker BRP this summer. Evinrude public relations manager Wendy Wilson confirmed that Mercury had stopped supplying engines to the brand. Some dealers say they will have to either drop Alumacraft or order a bare hull instead of the whole boat and engine package because they don’t have technicians trained to service Evinrude engines, said BMO Capital analyst Gerrick Johnson. While walleye fishing, Johnson ran across a dealer who said he would have to drop the brand because he couldn’t service Evinrude engines at his dealership. That prompted Johnson to poll 20 Alumacraft dealers — a small pool of the 275 existing dealers, Johnson told Trade Only Today. Half said they would just buy the hull and add the engine of choice at their dealership, Johnson said. If that’s an accurate reflection of sentiment across the network, it would mean the synergies with the Evinrude outboard business would be more difficult to come by than anticipated, he said. Two dealers said they already sold Alumacraft boats with Evinrudes and another two said they would enthusiastically sell Alumacrafts prepackaged with Evinrude engines. Twenty percent of those polled said they planned to stop selling Alumacraft because of the engine switch. “We note that what dealers say and what they end up doing can often be different, and we have not yet spoken to any dealers that have already dropped the line,” Johnson said. Dealer feedback has been positive during meetings for the Alumacraft brand and the Manitou brand, which BRP also acquired this year, Wilson told Trade Only. Wilson acknowledged the lack of certified Evinrude technicians was potentially “a challenge” in certain areas, but said the company is working to address a workforce shortage that extends to the entire industry. The company plans to announce an addition to its marine group team this week, who will bolster its dealer network strategy, she said. A couple of dealers reported to Johnson they were considering dropping Alumacraft due to quality issues, but Johnson thinks that’s where BRP can turn things around.